A small kingdom in the Himalayas, Bhutan lies between India and China, with Tibet on its northern border. 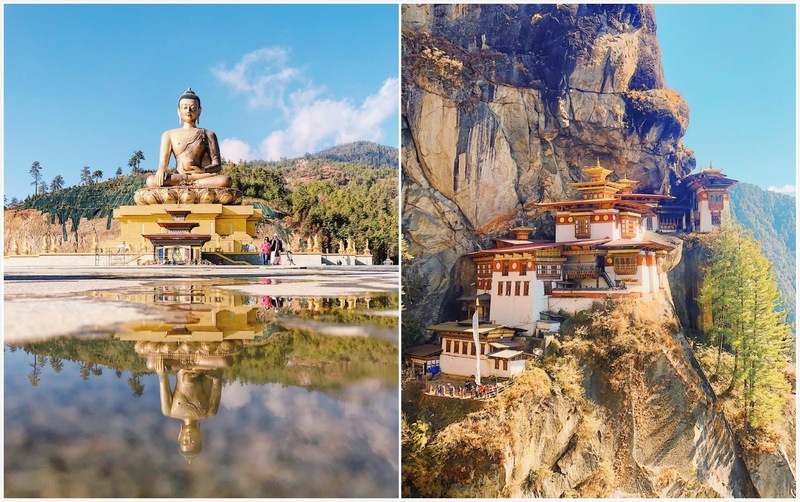 Isolated for centuries, the Kingdom of Bhutan opened its doors to tourism in 1974, and has become a popular destination for discerning travelers. Ranked as the second smallest nation in the world in terms of population, Bhutan is a country with a rich cultural history that goes back thousands of years. The local name for the country, Druk Yul, means “Land of the Thunder Dragon”, and it is often referred to around Asia as the “Forgotten Land”. Bhutan is the only country in the world that has a ‘GNH.’ You may think GNH is just another statistically based term with no real life application, but it refers to “Gross National Happiness.” The process of measuring GNH began when Bhutan opened up to globalization. It measures people’s quality of life, and makes sure that “material and spiritual development happen together.” Bhutan has done an amazing job of finding this balance. Bhutan has continually been ranked as the Happiest Country in all of Asia. 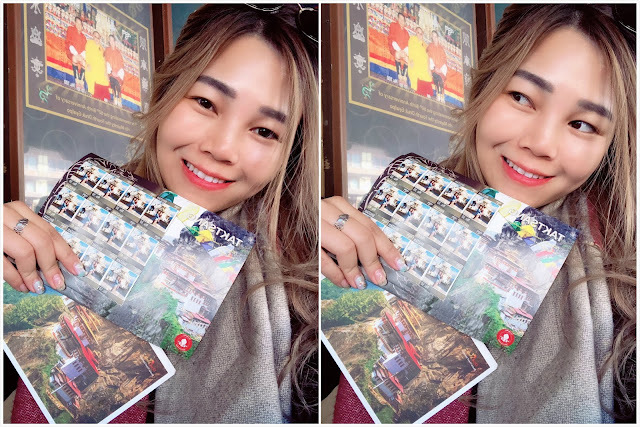 I was so surprised when I first got the invitation to Bhutan from drukasia, Thank's to Kakakching & Gigi for the recommendation, trust and love! I can't explain how happy I am as Bhutan is one of my Bucket list. I'm so blessed that now I can share more about this country with y'all. Some call Bhutan the “Switzerland of Asia” because of its size, shape and location in the mountains. But as I flew into Bhutan, I realized that the mountains I saw out of the window of the tiny shaky plane were Mt. Everest and K2, the two highest mountains in the world. 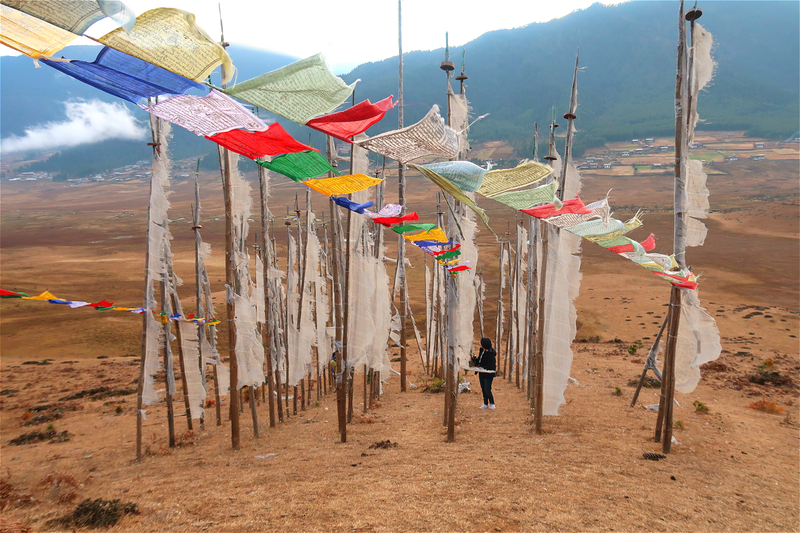 As soon as the plane touched down in Bhutan, the beautiful landscape overwhelmed me. View outside of my room. Fresh air. Bhutan is The First Non-smoking nation. While Bhutan may have been a secular nation for centuries, it is now a modern country that protects its traditions in a way that ensures it is both ancient and modern at the same time. Buddhist monks can be seen carrying smartphones, and giant protective penises can be seen painted beside doorways. Bhutan is a place where rice is red, and where chili is a common ingredient in almost every dish. The Bhutanese people are a mix of traditional and modern cultures, they are well educated thanks to the government’s free education system. Another cool experience is to wear the Bhutanese traditional dress - Kira. We wore this and took nice photos throughout our trip especially visiting to the Punakha Dzong, where government office and temple gathered. This is one of a Must-Visit place if you are traveling to Bhutan. You'll easily see dogs and cats on the streets wherever you go, they are so clean and cute because the Bhutanese always treat stray animals as their own. Do you know? Bhutanese doesn't kill or butcher animals. The meat you eat in Bhutan are mostly imported from India. This massive statue of Shakyamuni measures in at a height of 51.5 m, making it one of the largest statues of Buddha in the world. The statue is made of bronze and is gilded in gold. 125,000 smaller Buddha statues have been placed within the Buddha Dordenma statue. Each of these thousands of Buddhas have also been cast in bronze and gilded. The throne that the Buddha Dordenma sits upon is a large meditation hall. The statue fulfils an ancient prophecy dating back to the 8th century A.D that was discovered by Terton Pema Lingpa (Religious Treasure Discoverer) and is said to emanate an aura of peace and happiness to the entire world. 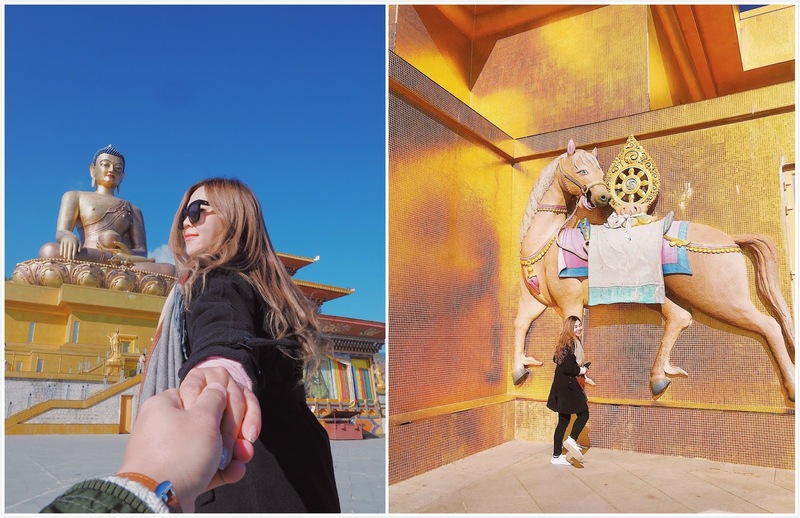 Some photos are beautifully captured by my travel buddies. Bhutan has a tourist industry that has been strictly controlled by the Tourism Council of Bhutan (TCB), and is dedicated to sustainable tourism. “High Value, Low Volume” tourism. 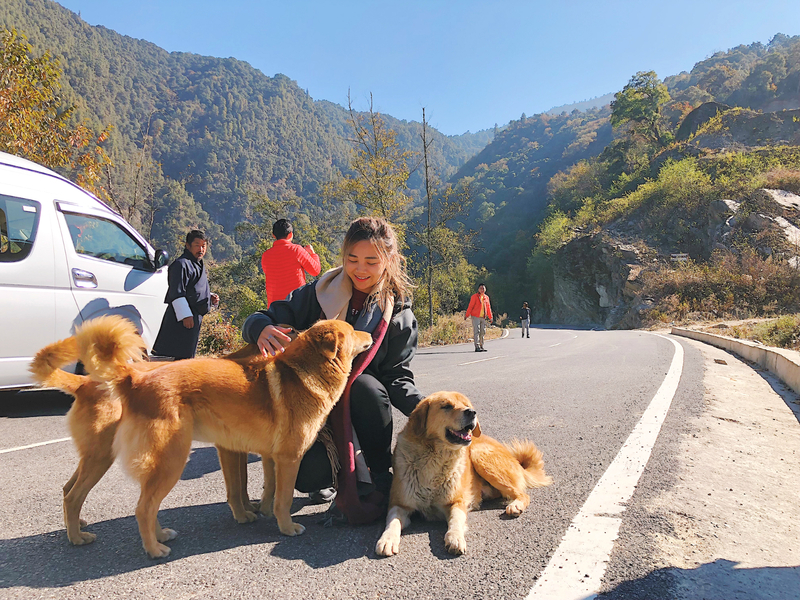 Tourism, like all Bhutanese industries must be sustainable and environmentally friendly.The government wanted tourists to understand the feel the deep-rooted culture and traditions, so they would have a higher appreciation for their surroundings. There is no way to exchange currency for Ngultrum outside Bhutan, so all currency exchanges must be done inside the country. You can bring US Dollars, Singaporean Dollars or Malaysian Ringgit to Bhutan and do your currency exchange at Bhutan's post office. In order to get a visa for Bhutan, travellers must first book their tour through the registered Bhutanese tour operator, who will make the arrangements for the visa on your behalf. Visa applications cannot be made personally through the Bhutanese Embassies. There's a Minimum Daily Package controlled by the Tourism Council of Bhutan , and amounts are USD 250 in the peak season and USD 200 in the low season. While it does cover the cost of the guide, driver, vehicle, food and accommodation. Drukair, the country's national carrier, has been operating for over 30 years with perfect safety records. It often brings Bhutanese Royalties too. There are No direct flight from Malaysia. 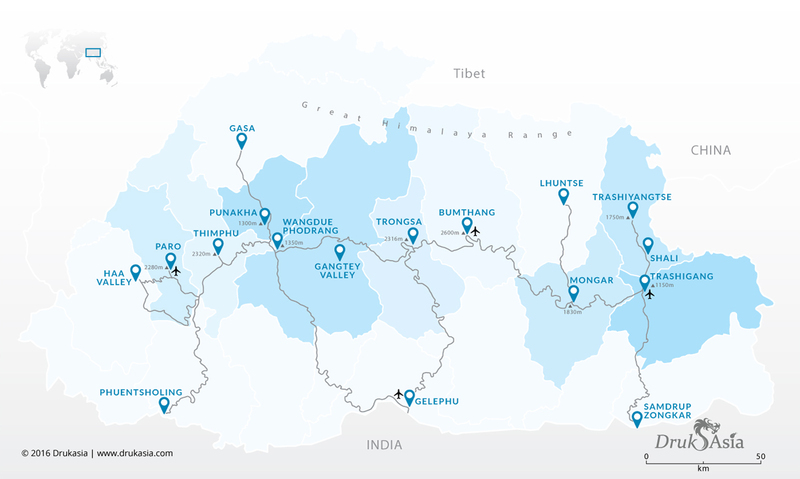 You can transit from Singapore or Bangkok in order to fly to Bhutan. 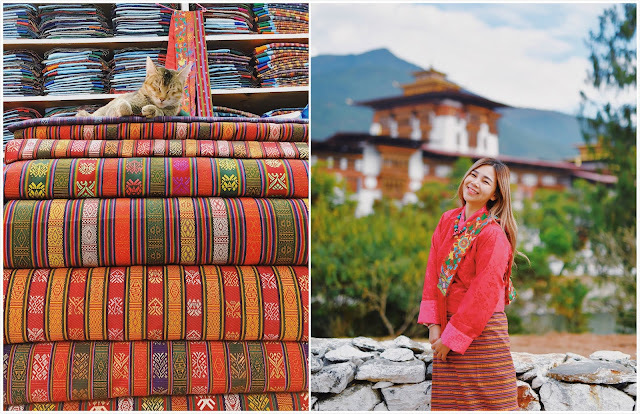 If you are flying from KL Malaysia, I would recommend you to transit from Bangkok as they have daily flights to Bhutan, it's in the right direction, and you can also get a good massage on your way back. 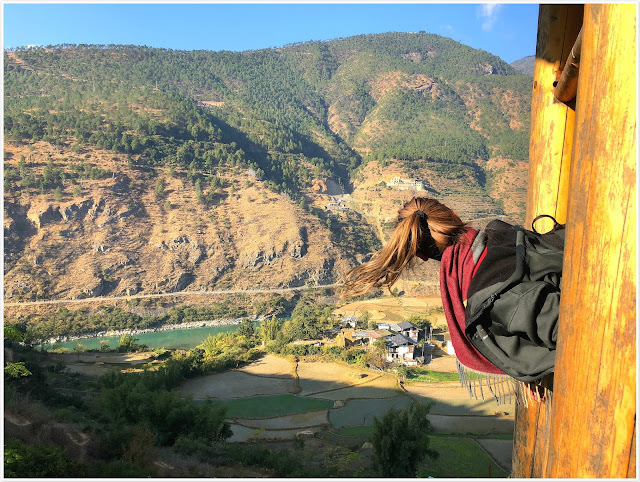 Bhutan tour usually allocates Tiger's Nest trekking on the last day of your trip, and you will feel extremely tired and muscle pain on the day you leave, it's always a good idea to have a massage in Bangkok during the transit. 1) I'm traveling during low peak season. 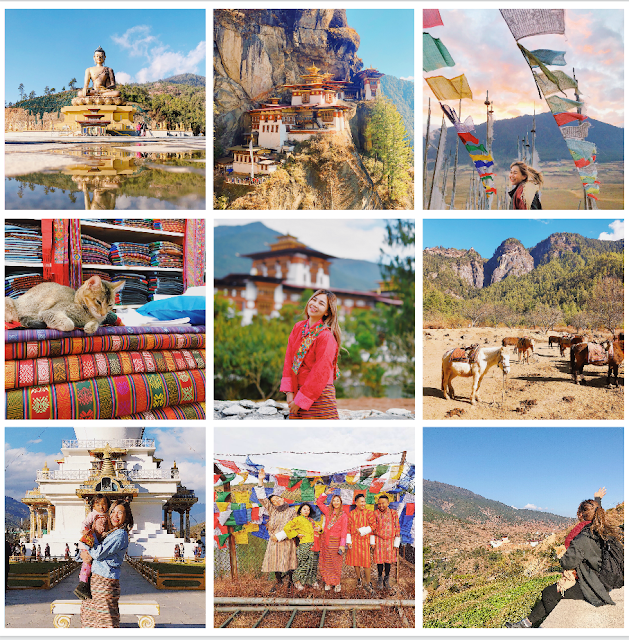 I went to Bhutan with Drukasia and I strongly recommend them if you are planning to go to Bhutan. 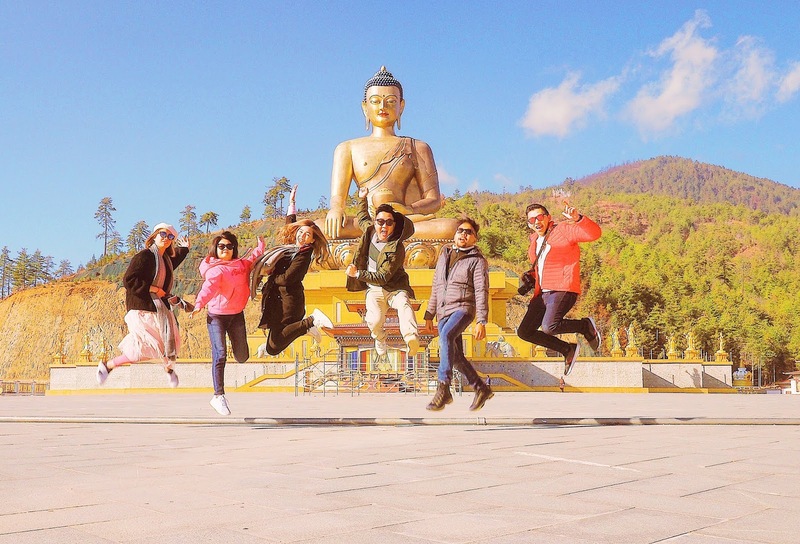 They are the Bhutan Tour Specialist and also appointed as General Sales Agent for Royal Bhutan Airline - Drukair. to customise your package based on the duration stays. Don't forget to mention my name "Charlene" and get a special Travel Gift Set when you book your trip with Gigi. I'll personally give you a set of FREE customised stamp in Bhutan with your favourite picture, just quote my name to Gigi and then instagram PM me will do.